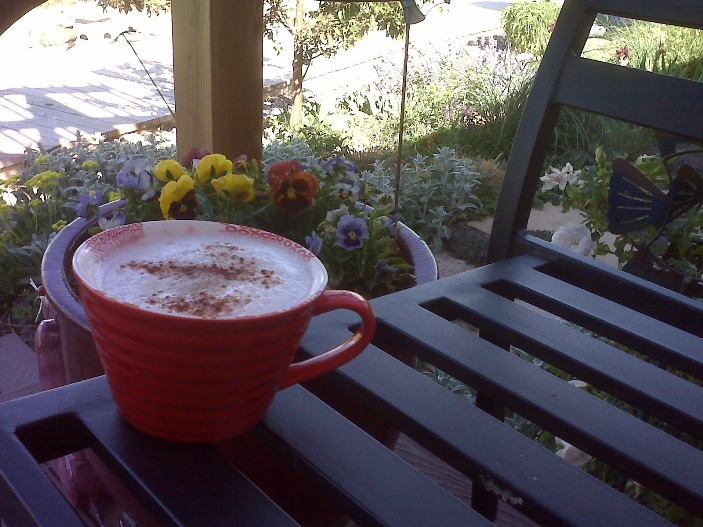 Today was everything I hope retirement will be: sleeping in, lazy breakfast, coffee on the deck. Then gardening–I planted most of my tomatoes and squash, while DH placed new drippers into a couple of wine barrels repurposed as planters. All the while, the usual Sunday stuff that is laundry was going on–hanging out clothes to a mockingbird seranade. Just a beautiful day. In the afternoon, we drove up the road a few miles to the Reeder Mesa Winery for the wine club pick-up party. Doug and Kris throw THE best pick-up parties. Not only do you get your new wine club offerings, but they provide all sorts of appetizers, wine tastings, and barrel tastings of wines yet to be bottled–my fav today: the 09 Cab Franc–beautiful dark red, lots of spice! Hung out with lots of other wine clubbers, including a friend from work who is retiring this year too. We lifted our glasses to each other and toasted the good fortune of retiring in a great place, with many years of parties like these yet to come. Now home, watching the sun set over the Uncompagre. Last load of laundry is on the line. 11 days left, only 8 of those with kids in the building. Then everyday can be like this day, or however I decide it should be. It makes me smile contentedly just thinking about it. Ahhhhhh…..